For years, Don Knebel, an Indianapolis attorney, law professor, speaker and civic leader, has traveled with his wife Jen to interact with the world’s people and learn about their customs and their religions. The idea for this book came when he discovered, to his embarrassment, that not all people find Western bathroom plumbing an improvement. From that revelation of his cultural bias, he began looking in the places he visits for stories reflecting our common humanity and the ideas that both divide and unite us. Some of the stories in this book are about people we can never forget. A few are about bodies that end up in more than one place. Some of the stories are humorous and some are unusual. Some are inspirational and a few contradict common assumptions. Only one is about toilets. The 101 stories, selected from those previously published in a weekly column Don writes for the Current newspapers, are arranged in roughly chronological order, providing a quick tour through the history of western and near eastern civilization and religious beliefs over the last 10,000 years. If you plan to travel, this book can suggest where to go. 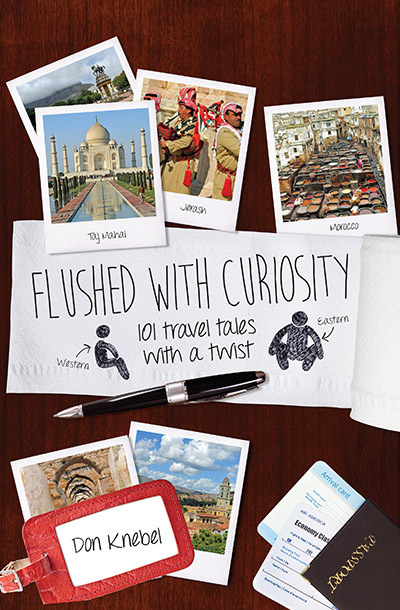 If you don’t plan to travel, this book can tell you what you’ve missed.